"As I grow older I am more convinced than ever that we are not alone. After a lifetime of wondering, I am helping to lead a new global effort to find out," Stephen Hawking said in a video. "The Breakthrough Listen project will scan the nearest million stars for signs of life, but I know just the place to start looking. 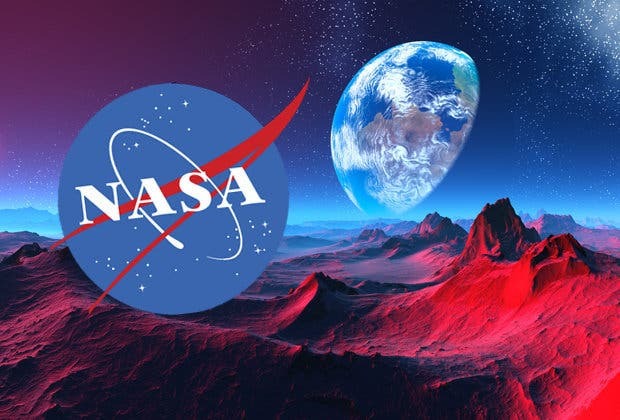 One day we might receive a signal from a planet like Gliese 832c, but we should be wary of answering back," Hawking added. 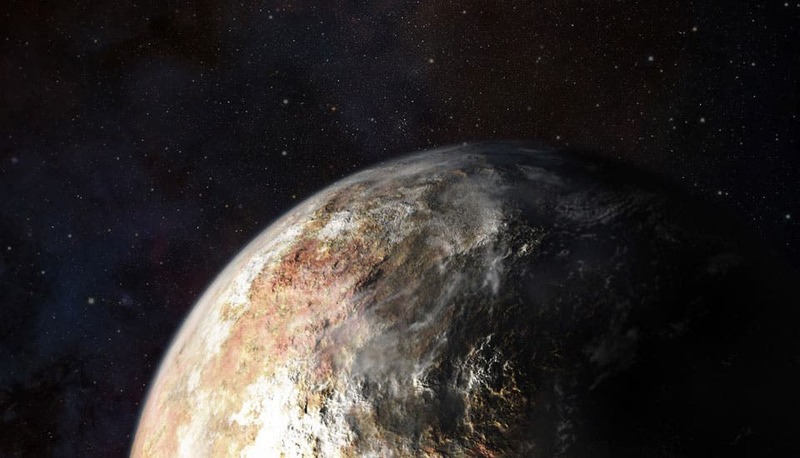 Pluto has long been viewed as a distant, cold and mostly dead world, but the first spacecraft to pass by it last year revealed many surprises about this distant dwarf planet. The data from the New Horizons flyby finished downloading to Earth in October, and while it will take many years for scientists to complete their inventory and model the results, early studies offer intriguing hints of its complex chemistry, perhaps even some form of pre-biological processes below Pluto’s surface. Complex layers of organic haze; water ice mountains from some unknown geologic process; possible organics on the surface; and a liquid water ocean underneath — all of these features point to a world with much more vibrancy than scientists have long presumed. 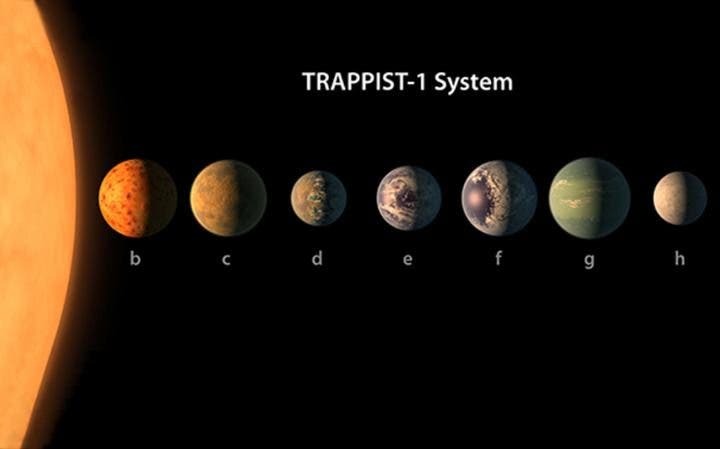 NASA has just announced discover new solar system with ‘best chance yet of alien life’ .Life may have evolved on at least three planets in a newly discovered solar system just 39 light years from Earth, NASA has announced.​ Astronomers have detected no less than seven Earth-sized worlds orbiting a cool dwarf star known as TRAPPIST-1. The six inner planets lie in a temperate zone where surface temperatures range from zero to 100C. Of these, at least three are thought to be capable of having oceans, increasing the likelihood of life. No other known star system contains such a large number of Earth-sized and probably rocky planets. 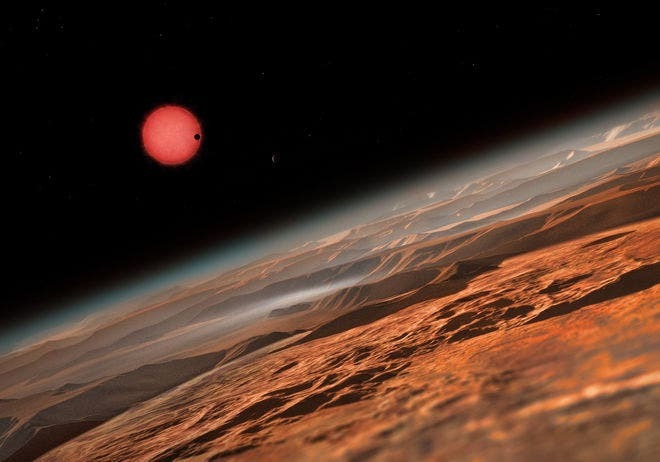 There is an interesting paper with press conference participants Sara Seager and Michael Gillon among the authors in 2015 “Hubble Space Telescope search for the transit of the Earth-mass exoplanet Alpha Centauri Bb” that says results from exoplanet surveys indicate that small planets (super-Earth size and below) are abundant in our Galaxy. However, little is known about their interiors and atmospheres.